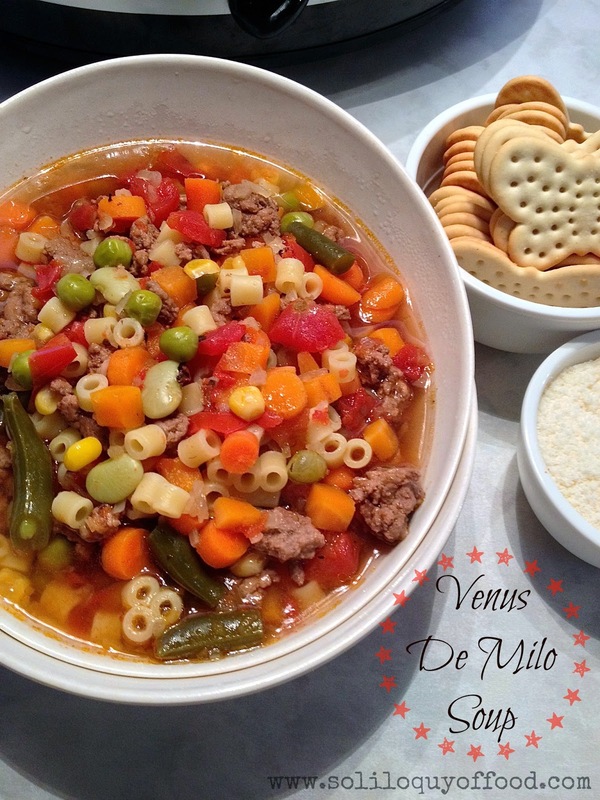 Venus De Milo Soup is another local favorite in the Southern New England area. 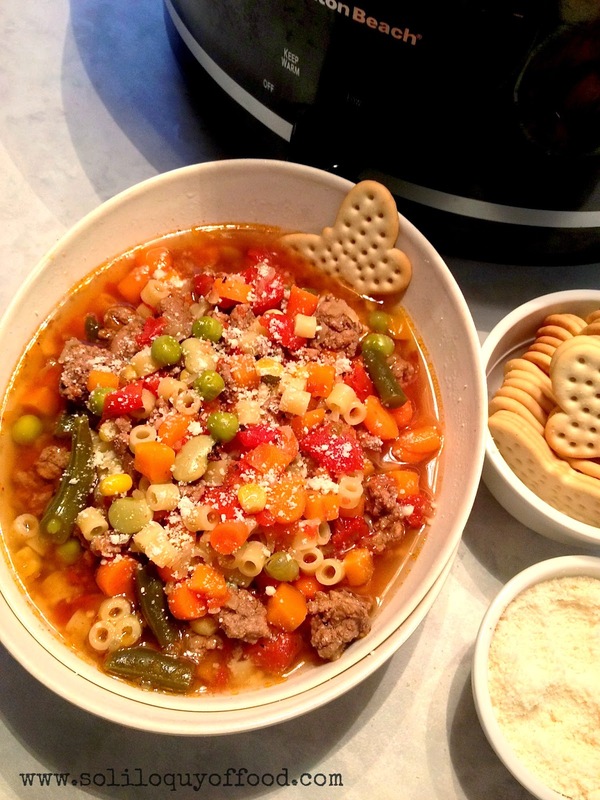 Made famous by the Venus De Milo Restaurant, located in Swansea, Massachusetts; they offer banquet and wedding services in which this beefy-vegetable soup is the house specialty. 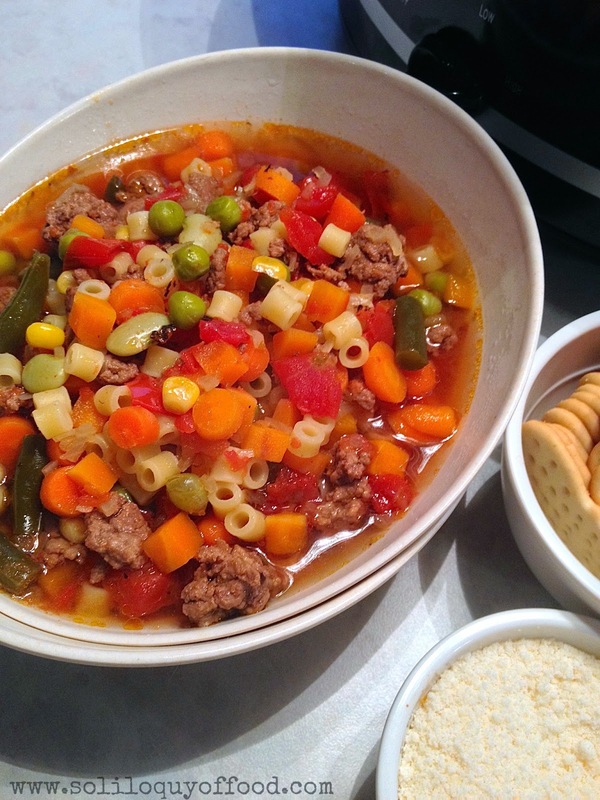 Back in the early 1990's the Providence Journal printed a recipe for this soup in their food section. 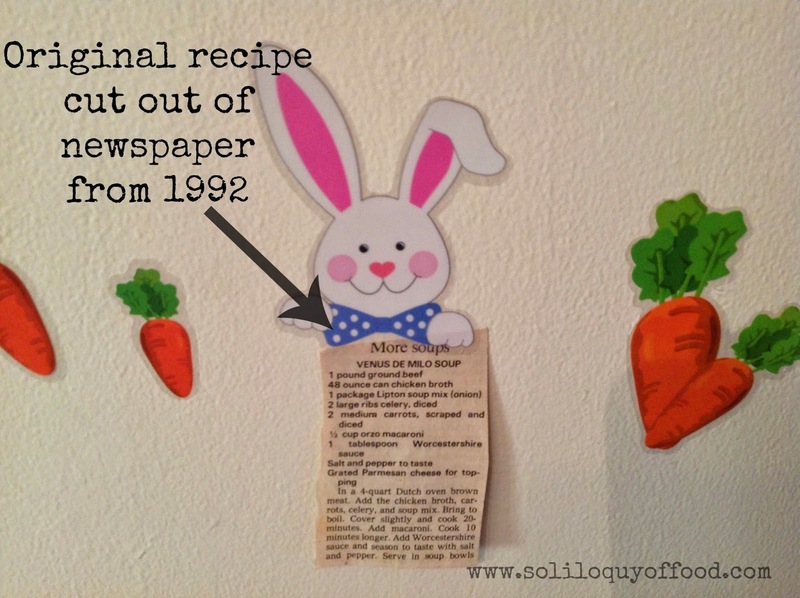 I cut it out - I use to make this constantly during my high school years. FYI...my Mom still had it! It's been a while, and I made some changes, but it's just a good as I remember. First, I altered the recipe to accommodate my crockpot. Next, I used beef consume and dried onion flakes in place of the onion soup mix; I added diced tomatoes and a bag of mixed frozen veggies (a mix of corn, peas, carrots, green beans, and lima beans); I used A-1 in place of Worcestershire sauce; finally, I chose ditalini in place of the orzo pasta...it's just more funner than orzo (don't tell orzo that, though - and don't tell my former English Grammar teacher I used the word 'funner'). Seeing how the the canned goods are somewhat high in sodium, I did not add salt. I used a lean ground beef, the consommé has some added fat so I tried to compensate for that. 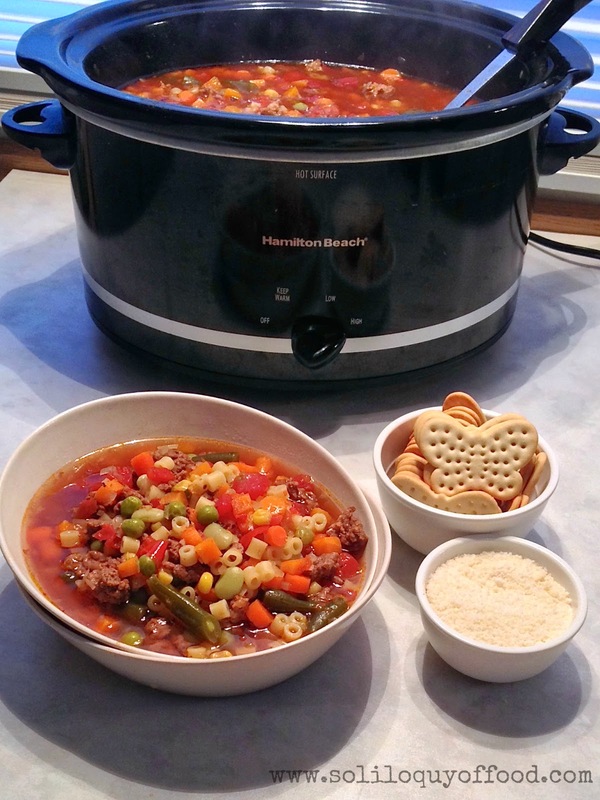 This is a very hearty soup. Even Sean will accept this as a "meal".....but only if it is served with a sturdy cracker and grated cheese. Brown the ground beef in a medium sized skillet. 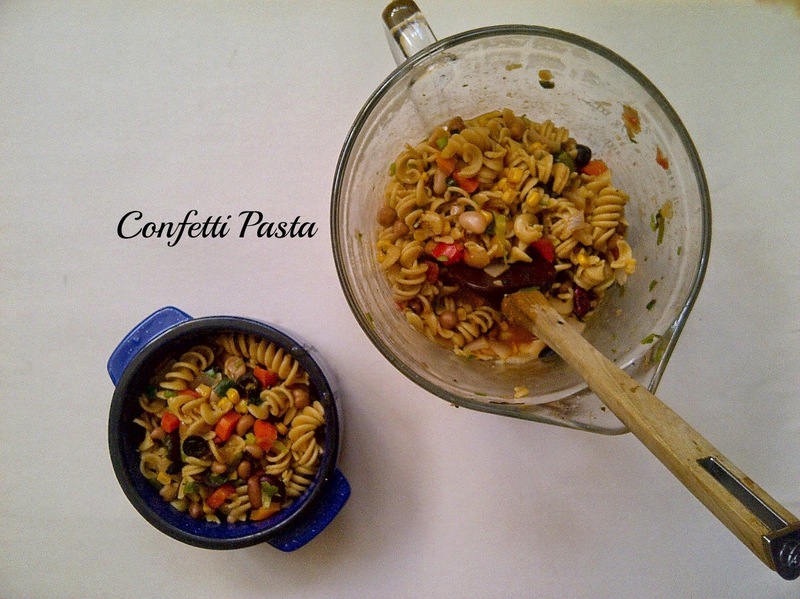 While that is going, add everything else EXCEPT the pasta into your crockpot, set on low. When the beef is fully cooked, drain and add into the crockpot. Cover, cook on low for 6 hours. When ready to serve, in a separate pot cook pasta according to manufacturer's directions for aldente. Drain pasta, add to the crockpot. Stir to combine and serve. Yum sounds like a great soup recipe. Love all the veggies in it. Thanks again for sharing it on The Yuck Stops Here! Everything looks soooooo good! I found your recipe over at ahandfulof everything link party. Take Care! Oh I haven't had a venus de milo in a long time! Looks wonderful! 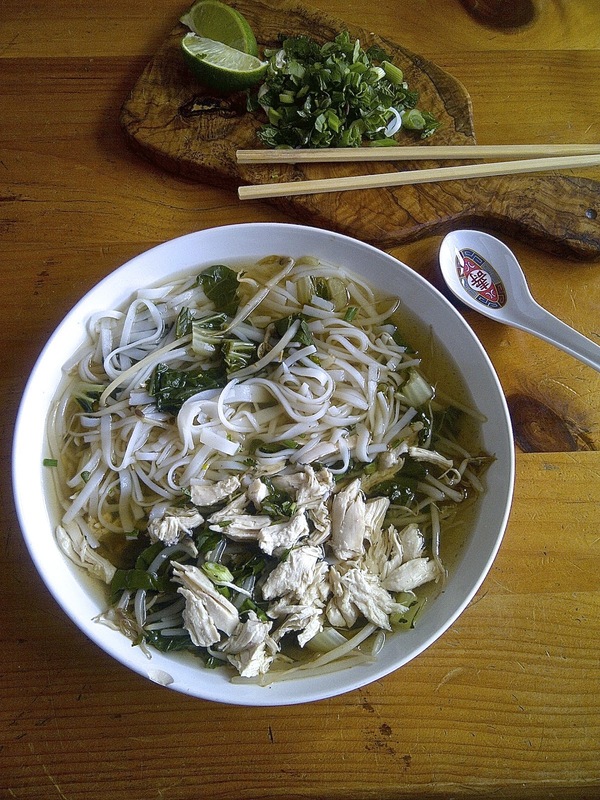 The soup looks so wonderful! I need to try this. Thanks for sharing this with us at the Four Seasons blog hop. I am sharing this! !